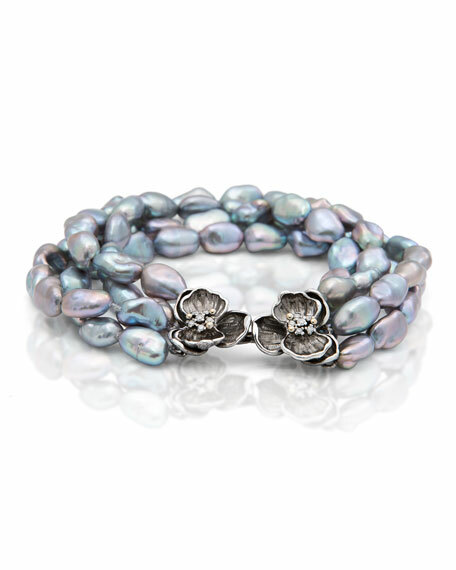 Michael Aram bracelet from the Orchid Collection. Black rhodium plating over sterling silver. Naturally colored, freshwater cultured pearl beads. Pavé diamond diamonds at station centers. 0.122 total diamond carat weight.